Cardinal Health (NYSE: CAH) reported better-than-expected Q2 results primarily driven by better performance from the Pharmaceutical division. The company’s stock jumped above 6% in the pre-market hours after the earnings beat. 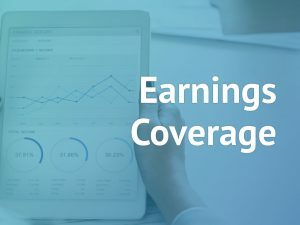 It has also lifted its fiscal 2019 adjusted earnings guidance as the ongoing cost control initiatives are progressing in line with the company’s expectations. 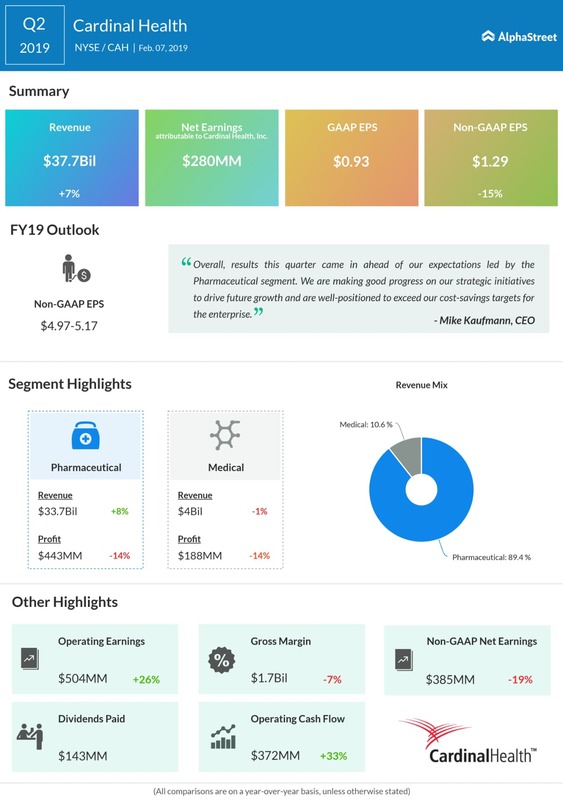 For the fiscal 2019 period, the healthcare services firm now expects adjusted EPS to come in the range of $4.97 to $5.17 compared to the earlier guided outlook of $4.90 to $5.15. The company’s board also declared a quarterly dividend of $0.4763 per share and fixed April 1, 2019, as record date and April 15, 2019, as the payment date. However, current debt and borrowings rose 45% to $1.45 billion remains a concern for investors. 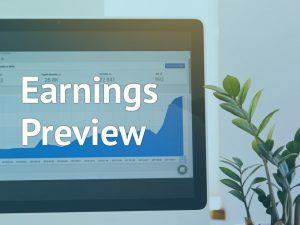 Last quarter, the company reported a 408% jump in earnings due to the naviHealth asset sale and adjusted EPS grew 18% to $1.29. The results topped analysts’ expectations. Cardinal Health’s sales grew 7% to $37.7 billion surpassing analyst estimates of $36.1 billion. Top line growth was aided by strong growth from the Pharma segment. Adjusted EPS was down 15% to $1.29, but topped street expectations of $1.09. The drop in earnings was due to one-time benefits it received last year due to the tax reforms. On the segment performance front, Pharmaceutical division which brings in lion’s share of revenues to the company saw 8% improvement in sales helped by growth in distribution and specialty solutions clients. However, profits dipped by 15% due to dwindling generic drug prices. In order to address the pricing issue, Cardinal joined hands with CVS Caremark (CVS) and formed Red Oak, the largest generic drug sourcing firm in the US. This would help the firm to negotiate with generic drug firms to get better deals which would result in better margins on a sustainable basis. Medical division’s sales declined 1% due to naviHealth asset sale and divestitures in China. 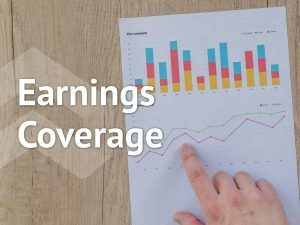 The 14% drop in earnings was mainly driven by increasing costs in Cordis, divestitures in China and naviHealth asset sale. In order to beef up its IT infrastructure and customer support activities, Cardinal Health is bringing in Brian Rice as Chief Information Officer effective February 4. Rice is joining the firm with previous stints from Kellogg Company (K) and General Motors (GM). Cardinal’s stock price decreased 22% in the last 12 months touching a new 52-week low level of $42.17 on December 26. In 2019, the stock price has recovered by about 14%.